Top Ten Tuesday #1: Ten Books I’d Recommend to . 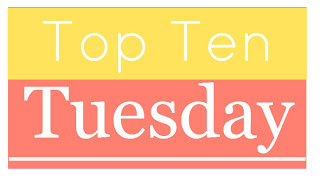 . .
Top Ten Tuesday is a feature from The Broke and The Bookish. This time I’m here with ten books I’d recommend to . . . um, no one in particular. I tried really hard to think of books to recommend to one person, then to many people, but it wasn’t working out too well. Haha. So I’m just going with ten books I love and some random thoughts on each. Yep, that’s all. 2. Ocean at the End of the Lane. This is one of my current favorites. It’s a captivating read and extremely well done. Gaiman’s the bomb. 4. Brave New World. Is our modern society all that different? Maybe so, but you can certainly draw some interesting parallels. Excellent book. 5. The Book Thief. Okay, so I actually haven’t finished this yet, but the writing is just so gooooood. I’m an instant fan. Wow, this is getting hard . . . .
6. My Loving Vigil Keeping. I love this book. It’s one of those romances where you become attached to the characters and feel what they feel. I love Carla Kelly’s books, and this one is particularly good. p.s. It’s clean too! 7. The Help. What a great book that speaks to racial segregation on the other side of the color line. Excellently written, great story. Makes you think and leaves you satisfied. 8. Pride and Prejudice. “It is a truth universally acknowledged, that a single man in possession of a good fortune must be in want of a wife.” Doesn’t that just draw you in? Just the characters, the story, the everything is awesome. 9. Hamlet. I can’t make a ten-recommendations list without Hamlet. It’s my favorite play and one whose themes you find everywhere. I love all the characters (or love to hate them), and I’m pleased that Claudius gets what’s coming to him in the end. And poor Horatio, right? 10. Harry Potter. Because duh. This entry was posted in Top Ten Tuesday and tagged recommendations on November 19, 2013 by Whit. I am always looking for new book suggestion sothis is a great feature. I’ve read 7 out if 10 of these and Ocean at the End of the lane is definitely on my to read list! It’s such a good book. So much so that I’m going to try to read most of Gaiman’s books. Have you read any? Jan recently posted…The most smackable characters in literature!